So, you might be buying a home. That’s great! Reaching the final stages of a new home purchase can be frustrating and exhausting, but now’s not the time to leave anything to chance. Any problems that exist in the house are ones you’re going to inherit once you close the deal. That’s why a lot of prospective home buyers enlist professionals for whole home inspections in Philadelphia, PA. Here are a few reasons you might want to join them. 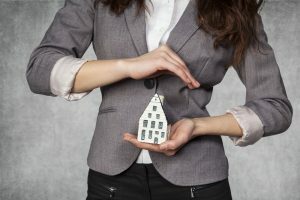 Since buying a home is likely the biggest purchase you’ll ever have to make, you’re probably reticent to tack on any additional expenses at the moment. However, the difference in price between what you’ll spend on a home inspector and the amount of money you could spend on fixing your new home can be enormous. Now’s not the time to be penny wise and pound foolish. If a home inspector finds a few things wrong with the home — either big or small — it’s before the sale is completed that you’ll have the opportunity to either back out, or require the homeowner to make the necessary fixes. You won’t have that luxury if you discover an infestation after the sale. Most problems with a prospective home may be relatively minor, but potential problems could appear that are actually quite dangerous. A home inspector can tell you if the home has foundational problems, or issues with the roof. Hiring a home inspector is more than a wise investment when your family’s health and safety are at stake. With so much money on the line, it’s imperative that you make absolutely sure (as best you can) that you’re making the right decision. Besides having a place to live, your home is your number one source of savings for retirement, and for loans should any emergencies arrive in the future. Anything that could interfere with your savings for the future needs to be checked and double-checked. Hiring a home inspector is a crucial part of that process. Let’s put it this way: unless you’re a professional home inspector, you’re not a professional home inspector. You can walk around your prospective new house, examine the pipes, look for cracks in the walls, and insects in the cupboards, but the professionals who actually conduct home inspections in Philadelphia, PA, are the real experts here. They know exactly where to look to see if there are problems with a home’s foundation. Are you familiar with how heating, cooling, plumbing and electrical systems are supposed to work? Probably not. If you are, the second opinion coming from a professional is still of profound importance. Besides, as the home buyer you have other things to worry about like the price of the house, whether its design works for your needs, the neighborhood, the quality of the school district, and countless other variables. When you’re ready to take that plunge for a new home, don’t make any moves until you’ve contacted the professionals at Eagle Inspections. Give us a call today!